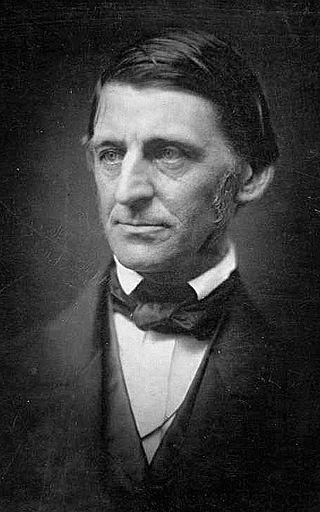 Ralph Waldo Emerson (1803–1882). Essays and English Traits. An etiquette book and a good tailor do not always produce a gentleman - neither does the Social Register include only gentlemen. Emerson by quaint stories tells how fashion and manners combine to make that rare product - a gentleman. In their true motions found. HALF the world, it is said, knows not how the other half live. Our Exploring Expedition saw the Feejee islanders getting their dinner off human bones; and they are said to eat their own wives and children. The husbandry of the modern inhabitants of Gournou (west of old Thebes) is philosophical to a fault. To set up their housekeeping, nothing is requisite but two or three earthen pots, a stone to grind meal, and a mat which is the bed. The house, namely, a tomb, is ready without rent or taxes. No rain can pass through the roof, and there is no door, for there is no want of one, as there is nothing to lose. If the house do not please them, they walk out and enter another, as there are several hundreds at their command. “It is somewhat singular,” adds Belzoni, to whom we owe this account, “to talk of happiness among people who live in sepulchres, among the corpses and rags of an ancient nation which they know nothing of.” In the deserts of Borgoo, the rock-Tibboos still dwell in caves, like cliff-swallows, and the language of these negroes is compared by their neighbors to the shrieking of bats, and to the whistling of birds. Again, the Bornoos have no proper names; individuals are called after their height, thickness, or other accidental quality, and have nicknames merely. But the salt, the dates, the ivory, and the gold, for which these horrible regions are visited, find their way into countries, where the purchaser and consumer can hardly be ranked in one race with these cannibals and man-stealers; countries where man serves himself with metals, wood, stone, glass, gum, cotton, silk, and wool; honors himself with architecture; writes laws, and contrives to execute his will through the hands of many nations; and, especially, establishes a select society, running through all the countries of intelligent men, a self-constituted aristocracy, or fraternity of the best, which, without written law or exact usage of any kind, perpetuates itself, colonizes every new-planted island, and adopts and makes its own whatever personal beauty or extraordinary native endowment anywhere appears. What fact more conspicuous in modern history, than the creation of the gentleman? Chivalry is that, and loyalty is that, and, in English, literature half the drama, and all the novels, from Sir Philip Sidney to Sir Walter Scott, paint this figure. The word gentleman,which, like the word Christian, must hereafter characterize the present and the few preceding centuries, by the importance attached to it, is a homage to personal and incommunicable properties. Frivolous and fantastic additions have got associated with the name, but the steady interest of mankind in it must be attributed to the valuable properties which it designates. An element which unites all the most forcible persons of every country; makes them intelligible and agreeable to each other, and is somewhat so precise, that it is at once felt if an individual lack the masonic sign, cannot be any casual product, but must be an average result of the character and faculties universally found in men. It seems a certain permanent average; as the atmosphere is a permanent composition, while so many gases are combined only to be decompounded. Comme il faut, is the Frenchman’s description of good society, as we must be. It is a spontaneous fruit of talents and feelings of precisely that class who have most vigor, who take the lead in the world of this hour, and, though far from pure, far from constituting the gladdest and highest tone of human feeling, is as good as the whole society permits it to be. It is made of the spirit, more than of the talent of men, and is a compound result, into which every great force enters as an ingredient, namely, virtue, wit, beauty, wealth, and power. There is something equivocal in all the words in use to express the excellence of manners and social cultivation, because the quantities are fluctional, and the last effect is assumed by the senses as the cause. The word gentleman has not any correlative abstract to express the quality. Gentility is mean, and gentilesse is obsolete. But we must keep alive in the vernacular, the distinction between fashion, a word of narrow and often sinister meaning, and the heroic character which the gentleman imports. The usual words, however, must be respected: they will be found to contain the root of the matter. The point of distinction in all this class of names, as courtesy, chivalry, fashion, and the like, is, that the flower and fruit, not the grain of the tree, are contemplated. It is beauty which is the aim this time, and not worth. The result is now in question, although our words intimate well enough the popular feeling, that the appearance supposes a substance. The gentleman is a man of truth, lord of his own actions, and expressing that lordship in his behavior, not in any manner dependent and servile either on persons, or opinions, or possessions. Beyond this fact of truth and real force, the word denotes good-nature or benevolence; manhood first, and then gentleness. The popular notion certainly adds a condition of ease and fortune; but that is a natural result of personal force and love, that they should possess and dispense the goods of the world. In times of violence, every eminent person must fall in with many opportunities to approve his stoutness and worth; therefore every man’s name that emerged at all from the mass in the feudal ages, rattles in our ear like a flourish of trumpets. But personal force never goes out of fashion. That is still paramount to-day, and, in the moving crowd of good society, the men of valor and reality are known, and rise to their natural place. The competition is transferred from war to politics and trade, but the personal force appears readily enough in these new arenas. Power first, or no leading class. In politics and in trade, bruisers and pirates are of better promise than talkers and clerks. God knows that all sorts of gentlemen knock at the door; but whenever used in strictness, and with any emphasis, the name will be found to point at original energy. It describes a man standing in his own right, and working after untaught methods. In a good lord, there must first be a good animal, at least to the extent of yielding the incomparable advantage of animal spirits. The ruling class must have more, but they must have these, giving in every company the sense of power, which makes things easy to be done which daunt the wise. The society of the energetic class, in their friendly and festive meetings, is full of courage, and attempts which intimidate the pale scholar. The courage which girls exhibit is like a battle of Lundy’s Lane, or a sea fight. The intellect relies on memory to make some supplies to face these extemporaneous squadrons. But memory is a base mendicant with basket and badge, in the presence of these sudden masters. The rulers of society must be up to the work of the world, and equal to their versatile office: men of the right Cæsarian pattern, who have great range of affinity. I am far from believing the timid maxim of Lord Falkland, (“that for ceremony there must go two to it; since a bold fellow will go through the cunningest forms,”) and am of opinion that the gentleman is the bold fellow whose forms are not to be broken through; and only that plenteous nature is rightful master, which is the complement of whatever person it converses with. My gentleman gives the law where he is; he will outpray saints in chapel, outgeneral veterans in the field, and outshine all courtesy in the hall. He is good company for pirates, and good with academicians; so that it is useless to fortify yourself against him; he has the private entrance to all minds, and I could as easily exclude myself, as him. The famous gentlemen of Asia and Europe have been of this strong type; Saladin, Sapor, the Cid, Julius Cæsar, Scipio, Alexander, Pericles, and the lordliest personages. They sat very carelessly in their chairs, and were too excellent themselves to value any condition at a high rate. A plentiful fortune is reckoned necessary, in the popular judgment, to the completion of this man of the world: and it is a material deputy which walks through the dance which the first has led. Money is not essential, but this wide affinity is, which transcends the habits of clique and caste, and makes itself felt by men of all classes. If the aristocrat is only valid in fashionable circles, and not with truckmen, he will never be a leader in fashion; and if the man of the people cannot speak on equal terms with the gentleman, so that the gentleman shall perceive that he is already really of his own order, he is not to be feared. Diogenes, Socrates, and Epaminondas, are gentlemen of the best blood, who have chosen the condition of poverty, when that of wealth was equally open to them. I use these old names, but the men I speak of are my contemporaries. Fortune will not supply to every generation one of these well-appointed knights, but every collection of men furnishes some example of the class: and the politics of this country, and the trade of every town, are controlled by these hardy and irresponsible doers, who have invention to take the lead, and a broad sympathy which puts them in fellowship with crowds, and makes their action popular. The manners of this class are observed and caught with devotion by men of taste. The association of these masters with each other, and with men intelligent of their merits, is mutually agreeable and stimulating. The good forms, the happiest expressions of each, are repeated and adopted. By swift consent, everything superfluous is dropped, everything graceful is renewed. Fine manners show themselves formidable to the uncultivated man. They are a subtler science of defence to parry and intimidate; but once matched by the skill of the other party, they drop the point of the sword,—points and fences disappear, and the youth finds himself in a more transparent atmosphere, wherein life is a less troublesome game, and not a misunderstanding rises between the players. Manners aim to facilitate life, to get rid of impediments, and bring the man pure to energize. They aid our dealing and conversation, as a railway aids travelling, by getting rid of all avoidable obstructions of the road, and leaving nothing to be conquered but pure space. These forms very soon become fixed, and a fine sense of propriety is cultivated with the more heed, that it becomes a badge of social and civil distinction. Thus grows up Fashion, an equivocal semblance, the most puissant, the most fantastic and frivolous, the most feared and followed, and which morals and violence assault in vain. There exists a strict relation between the class of power, and the exclusive and polished circles. The last are always filled or filling from the first. The strong men usually give some allowance even to the petulances of fashion, for that affinity they find in it. Napoleon, child of the revolution, destroyer of the old noblesse, never ceased to court the Faubourg St. Germain: doubtless with the feeling, that fashion is a homage to men of his stamp. Fashion, though in a strange way, represents all manly virtue. It is virtue gone to seed: it is a kind of posthumous honor. It does not often caress the great, but the children of the great: it is a hall of the Past. It usually sets its face against the great of this hour. Great men are not commonly in its halls: they are absent in the field: they are working, not triumphing. Fashion is made up of their children; of those, who, through the value and virtue of somebody, have acquired lustre to their name, marks of distinction, means of cultivation and generosity, and, in their physical organization, a certain health and excellence, which secures to them, if not the highest power to work, yet high power to enjoy. The class of power, the working heroes, the Cortez, the Nelson, the Napoleon, see that this is the festivity and permanent celebration of such as they; that fashion is funded talent; is Mexico, Marengo, and Trafalgar beaten out thin; that the brilliant names of fashion run back to just such busy names as their own, fifty or sixty years ago. They are the sowers, their sons shall be the reapers, and their sons, in the ordinary course of things, must yield the possession of the harvest to new competitors with keener eyes and stronger frames. The city is recruited from the country. In the year 1805, it is said, every legitimate monarch in Europe was imbecile. The city would have died out, rotted, and exploded long ago, but that it was reinforced from the fields. It is only country which came to town day before yesterday, that is city and court to-day. Aristocracy and fashion are certain inevitable results. These mutual selections are indestructible. If they provoke anger in the least favored class, and the excluded majority revenge themselves on the excluding minority, by the strong hand, and kill them, at once a new class finds itself at the top, as certainly as cream rises in a bowl of milk: and if the people should destroy class after class, until two men only were left, one of these would be the leader, and would be involuntarily served and copied by the other. You may keep this minority out of sight and out of mind, but it is tenacious of life, and is one of the estates of the realm. I am the more struck with this tenacity, when I see its work. It respects the administration of such unimportant matters, that we should not look for any durability in its rule. We sometimes meet men under some strong moral influence, as, a patriotic, a literary, a religious movement, and feel that the moral sentiment rules man and nature. We think all other distinctions and ties will be slight and fugitive, this of caste or fashion, for example; yet come from year to year, and see how permanent that is, in this Boston or New York life of man, where, too, it has not the least countenance from the law of the land. Not in Egypt or in India a firmer or more impassable line. Here are associations whose ties go over, and under, and through it, a meeting of merchants, a military corps, a college-class, a fire-club, a professional association, a political, a religious convention;—the persons seem to draw inseparably near; yet, that assembly once dispersed, its members will not in the year meet again. Each returns to his degree in the scale of good society, porcelain remains porcelain, and earthen earthen. The objects of fashion may be frivolous, or fashion may be objectless, but the nature of this union and selection can be either frivolous nor accidental. Each man’s rank in that perfect graduation depends on some symmetry in his structure, or some agreement in his structure to the symmetry of society. Its doors unbar instantaneously to a natural claim of their own kind. A natural gentleman finds his way in, and will keep the oldest patrician out, who has lost his intrinsic rank. Fashion understands itself; good-breeding and personal superiority of whatever country readily fraternize with those of every other. The chiefs of savage tribes have distinguished themselves in London and Paris, by the purity of their tournure. To say what good of fashion we can,—it rests on reality, and hates nothing so much as pretenders;—to exclude and mystify pretenders, and send them into everlasting “Coventry,” is its delight. We contemn, in turn, every other gift of men of the world; but the habit even in little and the least matters, of not appealing to any but our own sense of propriety, constitutes the foundation of all chivalry. There is almost no kind of self-reliance, so it be sane and proportioned, which fashion does not occasionally adopt, and give it the freedom of its saloons. A sainted soul is always elegant, and, if it will, passes unchallenged into the most guarded ring. But so will Jock the teamster pass, in some crisis that brings him thither, and find favor, as long as his head is not giddy with the new circumstance, and the iron shoes do not wish to dance in waltzes and cotillons. For there is nothing settled in manners, but the laws of behavior yield to the energy of the individual. The maiden at her first ball, the countryman at a city dinner, believes that there is a ritual according to which every act and compliment must be performed, or the failing party must be cast out of this presence. Later, they learn that good sense and character make their own forms every moment, and speak or abstain, take wine or refuse it, stay or go, sit in a chair or sprawl with children on the floor, or stand on their head, or what else soever, in a new and aboriginal way: and that strong will is always in fashion, let who will be unfashionable. All that fashion demands is composure, and self-content. A circle of men perfectly well-bred would be a company of sensible persons, in which every man’s native manners and character appeared. If the fashionist have not this quality, he is nothing. We are such lovers of self-reliance, that we excuse in a man many sins, if he will show us a complete satisfaction in his position, which asks no leave to be, of mine, or any man’s good opinion. But any deference to some eminent man or woman of the world, forfeits all privilege of nobility. He is an underling: I have nothing to do with him; I will speak with his master. A man should not go where he cannot carry his whole sphere or society with him,—not bodily, the whole circle of his friends, but atmospherically. He should preserve in a new company the same attitude of mind and reality of relation, which his daily associates draw him to, else he is shorn of his best beams, and will be an orphan in the merriest club. “If you could see Vich Ian Vohr with his tail on!——” But Vich Ian Vohr must always carry his belongings in some fashion, if not added as honor, then served as disgrace. There will always be in society certain persons who are mercuries of its approbation, and whose glance will at any time determine for the curios their standing in the world. These are the chamberlains of the lesser gods. Accept their coldness as an omen of grace with the loftier deities, and allow them all their privilege. They are clear in their office, nor could they be thus formidable, without their own merits. But do not measure the importance of this class by their pretension, or imagine that a fop can be the dispenser of honor and shame. They pass also at their just rate; for how can they otherwise, in circles which exist as a sort of herald’s office for the sifting of character? As the first thing man requires of man, is reality, so, that appears in all the forms of society. We pointedly, and by name, introduce the parties to each other. Know you before all heaven and earth, that this is Andrew, and this is Gergory;—they look each other in the eye; that grasp each other’s hand, to identify and signalize each other. It is a great satisfaction. A gentleman never dodges: his eyes look straight forward, and he assures the other party, first of all, that he has been met. For what is it that we seek, in so many visits and hospitalities? Is it your draperies, pictures, and decorations? Or, do we not insatiably ask, Was a man in the house? I may easily go into a great household where there is much substance, excellent provision for comfort, luxury, and taste, and yet not encounter there any Amphitryon, who shall subordinate these appendages. I may go into a cottage, and find a farmer who feels that he is the man I have come to see, and fronts me accordingly. It was therefore a very natural point of old feudal etiquette, that a gentleman who received a visit, though it were of his sovereign, should not leave his roof, but should wait his arrival at the door of his house. No house, though it were the Tuileries, or the Escurial, is good for anything without a master. And yet we are not often gratified by this hospitality. Every body we know surrounds himself with a fine house, fine books, conservatory, gardens, equipage, and all manner of toys, as screens to interpose between himself and his guest. Does it not seem as if man was of a very sly, elusive nature, and dreaded nothing so much as a full rencontre front to front with his fellow? It were unmerciful, I know, quite to abolish the use of these screens, which are of eminent convenience, whether the guest is too great, or too little. We call together many friends who keep each other in play, or, by luxuries and ornaments we amuse the young people, and guard our retirement. Or if, perchance, a searching realist comes to our gate, before whose eye we have no care to stand, then again we run to our curtain, and hide ourselves as Adam at the voice of the Lord God in the garden. Cardinal Caprara, the Pope’s legate at Paris, defended himself from the glances of Napoleon, by an immense pair of green spectacles. Napoleon remarked them, and speedily managed to rally them off: and yet Napoleon, in this turn, was not great enough with eight hundred thousand troops at his back, to face a pair of freeborn eyes, but fenced himself with etiquette, and within triple barriers of reserve: and, as all the world knows from Madame de Staël, was wont, when he found himself observed, to discharge his face of all expression. But emperors and rich men are by no means the most skilful masters of good manners. No rent-roll nor army-list can dignify skulking and dissimulation: and the first point of courtesy must always be truth, as really all the forms of good-breeding point that way. I have just been reading, in Mr. Hazlitt’s translation, Montaigne’s account of his journey into Italy, and am struck with nothing more agreeable than the self-respecting fashions of the time. His arrival in each place, the arrival of a gentleman of France, is an event of some consequence. Wherever he goes, he pays a visit to whatever prince or gentleman of note resides upon his road, as a duty to himself and to civilization. When he leaves any house in which he has lodged for a few weeks, he causes him arms to be painted and hung up as a perpetual sign to the house, as was the custom of gentlemen. Wages - Why and How Much?